Dr. Shigeo Tajima is a distinguished alumnus of the College of Education and Human Development at the University of Minnesota, where he earned an M.S. in agricultural education in 1955. Dr. Tajima is professor emeritus at Obihiro University of Agriculture and Veterinary Medicine. 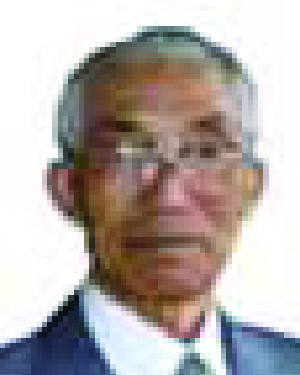 He also serves on several committees, including the Managing Council for Nippon Farmers College and the Advisory Council for Yatugatake Farmers College, and is honorary president of the East Asia Pacific Association of Educators in Agriculture and the Environment – an organization he helped to create. After graduating from the U of M, Dr. Tajima returned to Japan as a professor at Obihiro University and earned his Ph.D. in agriculture from Hokkaido University. In 1968, he was named director of the Division of Agricultural Education and Science at the UNESCO headquarters in Paris. In addition to his accomplished teaching career, Dr. Tajima was actively involved in international education, consultation, and training in agricultural education and extension. He assumed leadership roles in the Japanese Ministry of Education and Ministry of Agriculture, Forestry, and Fisheries; UNESCO; OECD; and other international organizations. Dr. Tajima has maintained a life-long connection to the University of Minnesota. He has assisted countless faculty with their research and visits to Japan, has been active in the Japan alumni chapter, and even encouraged his son to pursue a Ph.D. at the U of M.
In naming Dr. Tajima a recipient of the Distinguished Leadership Award for Internationals, the selection committee honored his long-term dedication and influence on agricultural education and rural development in Japan and around the world.